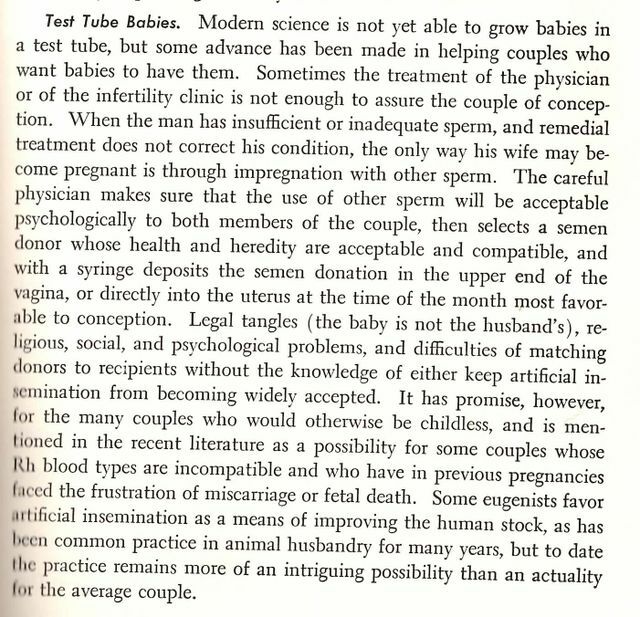 This section is actually from the 1953 edition -- while the 1962 version mentions that modern science is STILL not yet able to grow babies in a test tube, it strikes out all the eugenics talk. Want to hear more about this "intriguing possibility? Read on!